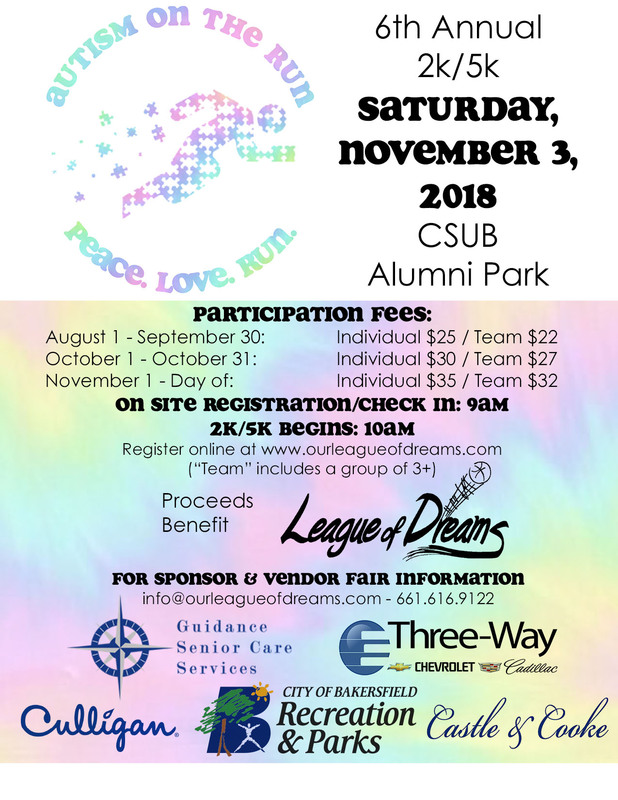 Autism on the Run is a family friendly 2k and 5k event at CSUB's Alumni Park. This year's event will take place on Saturday, November 3, 2018. Check in and on site registration at 9am and walk/run at 10am. Register as a team (3 or more people) and save! Register online at Active.com search Autism on the Run!